Zarzamora is what they call the blackberry in Argentina. That’s significant for a couple of reasons. First, this drink has blackberries, but more importantly, it contains Fernet Branca. If you recall, Fernet is a bitter Italian Amaro, and it’s one of the strongest in terms of bitter herbal complexity. So, what does that have to do with Argentina? It just so happens that more Fernet Branca is consumed in Argentina than anywhere else (with San Francisco not far behind). They enjoy Fernet and Coke, which isn’t such a bad mix! Muddle the blackberries in a shaker. Add other ingredients except soda. 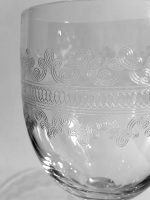 Shake with ice, strain over fresh ice in a Collins glass. Top with soda and garnish with blackberries. My version of the Zarzamora makes use of homemade cola syrup. Naturally, this cocktail appears on Summit Sips after I shared how to make Coke, but you don’t have to go through all of that trouble. Just sub 1:1 simple syrup for the cola syrup and top up with a splash of commercial Coca Cola instead of club soda. Personally, I think this drink is absolutely amazing with the homemade cola syrup. It’s still pretty good with regular Coke even if there is just an ounce or so, and despite what you might think, the lemon juice does its job of keeping the sugar under control. 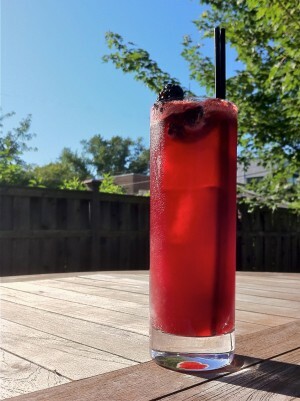 To my taste, the lemon brings out the flavors of the muddled blackberries and enlivens the herbal elements of the Fernet while it balances the sweetness of the cola and/or syrup. All of this is happening without obscuring the whiskey. Using a bold, flavorful spirit is a good call here, as it will stand up to the other ingredients. The original calls for Wild Turkey 101. The result is a complex and fruity drink that isn’t runaway sweet and highlights rather than hides every ingredient. I don’t think this has been on the menu at The Violet Hour, Bradstreet, or the Patterson House for a while now, but you might be able to request it if you want someone else to take care of the mixing and shaking. Otherwise, grab some blackberries—they are always easy to find—and make yourself a couple of these for the weekend! A complex drink with a fruity but deep and multifasceted palate. The blackberries are paired perfectly with the orange bitters and the Fernet balances it out with the sweet oaky notes of the burbon. Really a wonderful drink. 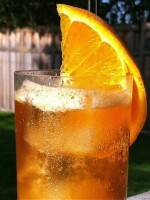 I used Boylan's Cane Cola.